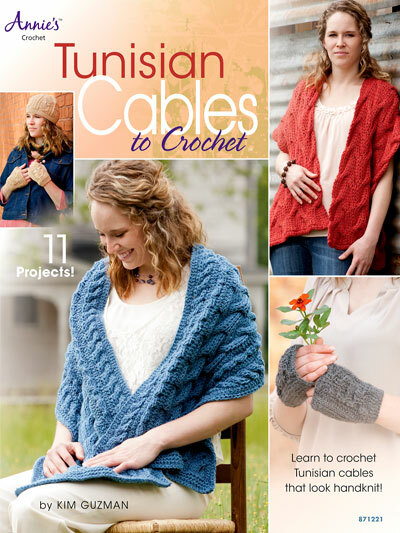 Learn true Tunisian cables made to look like handknit cables in this extra-ordinary book. You can learn the cabling technique with 11 beautiful designs. Projects include scarves, hats, wraps, a ruana, a headband and mitts. Included are step-by-step photo instructions of the special Tunisian stitches used. Some projects are designed so that a regular crochet hook can be used instead of a Tunisian afghan hook. If you love the Tunisian technique of crocheting, then you'll love this book.